Following the passing of Hayford Alile, former director-general of the Nigerian Stock Exchange (NSE), a deluge of tributes have poured in from market oper ators and the hierarchy of the bourse. 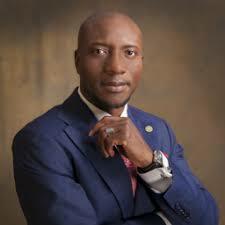 Oscar N. Onyema, CEO of the NSE, said the demise of Alile was a great loss to the capital market and the country just as he acknowledged his contributions to the development of the market, which according to him was immense. Onyema said, “this is a great loss to the Nigerian capital market and the country at large. Apostle Alile’s contributions to the capital market and organised private sector will continue to be referenced. He was indeed a visionary leader, whose foresight and impact on the operations of the NSE remain evident several years after the end of his tenure as director-general of The Exchange”. Abimbola Ogunbanjo, president, National Council of the NSE paid reverence to the works of late former director general, he said, “Nigeria has lost one of its most patriotic and visionary corporate leaders. Apostle Alile was an outstanding authority on the stock market and its operations and he rightfully laid a solid foundation for The Nigerian Stock Exchange. “As an Exchange, we shall remain grateful to him for providing the inspiring leadership required at the formative stage of the Exchange,” Ogunbanjo added. In mourning his passing, the NSE observed a one-minute silence in his honour during the trading hours of Tuesday, October 2, 2018. The thoughts of the National Council, Management, Staff and indeed the capital market ecosystem are with the entire Alile family. Alile was the director general of NSE from 1976 to 2000. Alile’s outstanding achievements at The Exchange include the physical movement of The Exchange’s operations to its current location in the hub of the Nigerian financial district; trading automation, which significantly improved international access to the Nigerian capital market; and the launch of the all share index (ASI). Even in retirement, Alile constantly made himself available to The Exchange. Most recently, the counsel he rendered during his meritorious service as a member of The Exchange’s membership verification panel, whose activities assisted the National Council in finalizing The Exchange’s membership register.